I’m guessing you have heard of the phrase, “feel the fear and do it anyway,” and I’m all for this philosophy as I’ve had some amazing experiences because of it. Nowadays I try to look at my goals and ambitions from someone else’s perspective, to be critical of my plan. I do this not to stamp out any ambition but to highlight glaring faults in my plan which ensures the highest chance of success. I was struck with this though, as I read about a 'flat-earther' who is hell-bent on proving, once and for all, that the earth is flat. 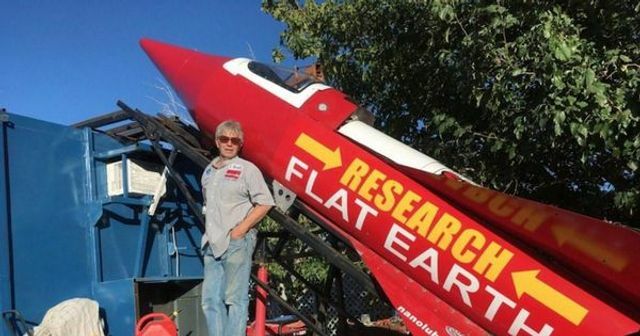 I’m no rocket scientist, and it seems he isn’t one either, but I don’t think his formula (500mph home made rocket + no prior experience in anything remotely close to this + $20,000 budget) will lead to success. I could be wrong but if I was to look at this from another perspective, for example - $20,000 = very comfy plane ride to the edge of the earth to have a look - I might have chosen that route and had a much more enjoyable time and most probably would not end up slamming nose-first into the desert. I hope this year has been everything you have hoped for and maybe you can make 2018 that much better by being your own critic.